This elegant city hotel boasts a privileged location in Venice at just 100 metres from the imposing Saint Mark's Square and a few paces from the most emblematic monuments such as Palazzo Ducale, Saint Mark Basilica, Ponte dei Sospiri and Clock Tower. Visitors will find themselves surrounded by multiple local restaurants and cafes, where to enjoy the wide selection of the regional specialties and unique, romantic flair. Housed in an impressive 15th-century palace, this property affords utmost comfort and convenience. Travellers may completely loosen up and completely relax in the soundproofed and air-conditioned rooms showcase an enchanting Venetian décor combining simplicity with classic elegance to create a relaxing and comfortable ambience. Visitors may wake up to a rich continental breakfast, ideal to energize one's day before a busy day of work or venturing into the city. Boasting a fantastic location in the heart of Venice's historical centre, this charismatic hotel offers its guests a perfect place to discover the main sites of this magical city. The property is just a short distance from the famous Rialto Bridge and a 5-minute walk from St. Mark's Square, where travellers can find many important monuments that are worth to see, such as the Bell Tower and St. Mark's Church. San Marco's district is also known as Venice's commercial point where visitors can find numerous shops as well as a popular local market. The establishment is decorated in a classic Venetian style, featuring charming rooms with a combination of vintage furniture and modern facilities such as complimentary Wi-Fi access and air-conditioning. Guests can start their day with a delicious continental breakfast every morning and the on-site restaurant is open for lunch and for dinner, offering excellent local cuisine. Overlooking the Grand Canal, the charming Hotel Canal is set in an old building alongside the most important waterway of Venice. Attractions such as the Basilica dei Friari, Scuola Grande di San Rocco and the Jewish Ghetto are only steps away; the Rialto Bridge can be reached within a 10-minute walk. World-famous Saint Mark's Square is within a leisurely 30-minute walk. The hotel is set opposite Santa Lucia train station and very close to Piazzale Roma.The rooms are very bright and inviting and feature 18th century furnishings as well as original flooring with lighting and mirrors made from Murano glass, creating the characteristic and elegant Venetian ambience. Guests can enjoy the hotel's beautiful flower garden, a very rare attribute for a Venice hotel. Other services and amenities include 24-hour reception, a bar and a lovely breakfast room. A wonderful place for a romantic getaway. This hotel is located near the city centre (around 1 km away) and about 5 km from the nearest beach. Shops, restaurants, bars and nightclubs can be found approximately 50 m away, as well as public transport connections, 100 m away, are all within easy access to the hotel.Â Â Built in 1800, this hotel was renovated in 2010 and includes a total of 15 rooms spread over 2 floors. Awaiting guests is a lobby with a 24-hour reception and a safe. Further facilities include a bar and a café. Room service is also available.Â Â The comfortable, air-conditioned, en suite rooms are fitted with a hairdryer, a king-sized double bed and individually regulated heating. Further amenities include a direct dial telephone, Internet access and satellite/ cable TV. Guests are invited to serve themselves from the breakfast buffet. Situated in the very centre of Venice in one of the trendiest areas of the city, the charming and cosy Guest House Palazzo La Scala enjoys a perfect setting surrounded by art galleries, restaurants and the Fenice Theatre. World-famous sites such as the Rialto Bridge, the Grand Canal or the Saint Mark's Square with the impressive Basilica, the Doges Palace and the Bridge of Sighs are just a 5-minute stroll away.The small, renovated Guest House exudes an air of luxury and timeless elegance, blending historic details with modern day amenities. The beautifully appointed rooms are decorated with antique walnut furniture and rich fabrics. They feature a range of services and amenities including air-conditioning, satellite LCD TV and complimentary wireless internet access. This enchanting structure is the perfect choice for a romantic getaway in the world's most romantic city. The elegant BEST WESTERN PREMIER Hotel Sant'Elena is beautifully located in the greenest part of Venice, within the walls of a former convent and just a step away from the Parco delle Rimembranze, from where guests have a marvellous view of the lagoon and the city centre. The garden of the Biennale can be reached within a short stroll. St. Mark's Square is within walking distance, but can also be reached by a 5-minute vaporetto (waterbus) ride. 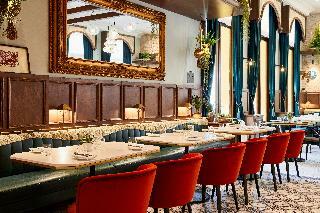 The stop is just 150 metres away.The hotel combines antique elements with a fresh, contemporary style design. The rooms are excellently appointed with sleek modern furniture, complimentary WIFI and LCD TV. Guests can relax in the leafy inner courtyard, the former cloister of the convent. At the fine restaurant, guests can sample delicious Italian cuisine, guaranteed to tempt even the most discerning palate. This hotel is a perfect place to discover Venice, in a quiet and green area, yet close to it all. This hotel is situated in a quiet location, close to the Grande Canal, only minutes from the main train station and the Piazzale Roma. The city centre, with numerous shopping and entertainment venues is just minutes from the hotel. Marco Polo airport is 15 km away and takes 20 minutes to reach on public transport. The hotel was built in 1900 and has been completely renovated. It offers a lobby with a 24-hour reception with a safe, a currency exchange desk and a TV room. There is also an air-conditioned restaurant with a non-smoking area and a bar available to guests. The hotel offers a room and laundry service to guests as well. The stylish rooms come with an en suite bathroom with hairdryer. All of them are well equipped as standard and have a comfortable lounge area with a mini fridge. A breakfast buffet is available every morning. 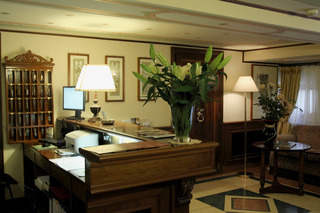 This historical hotel lies at the heart of the beautiful city of Venice.The completely renovated hotel offers a lobby with a 24-hour reception and safe, a currency exchange desk, a cloakroom and lifts as well as a lobby bar and Internet terminal. The air-conditioned restaurant is fitted with a non-smoking area. Room and laundry service are also on offer.The rooms come with an en suite bathroom with a hairdryer, a telephone, satellite/ cable TV, Internet connection, a minibar and a fridge. In addition, all rooms include central heating and a safe as standard. This hotel lies in the heart of Venice, within a short distance of the Doge's Palace. Famous sights such as St. Marco's Cathedral and Rialto Bridge are within walking distance, with the Guggenheim Museum a mere 500 metres away. The popular area of St. Lucia is a 25 minutes' walk away and Lido is just 1 km from the hotel. Housed in a building that dates back to 1807, this hotel couples tradition and culture. Architecturally, the exterior illustrates decadence and poise. Inside, the furnishings combine modernity and luxury. Bathed in relaxation and tranquillity, each individual guest will feel revived and rejuvenated after their stay. Active guests may enjoy a round of golf, whilst other guests can enjoy the varying amenities the hotel has to offer. Guests may select their breakfast from an ample buffet, and an a la carte menu is available for lunch and evening meals. Situated in a beautiful former 16th century convent designed by the great Renaissance architect Andrea Palladio, the luxury Bauer Palladio Hotel & Spa enjoys a wonderful location on the island of Giudecca in the Venice Lagoon, boasting exceptional views across the water to the Doge's Palace. St. Mark's Square with its famous monuments can be reached by a complimentary shuttle boat, connecting the hotel with its sister property.The hotel rooms are carefully decorated in a classic style with finest paint decoration and tapestries, warm tones and soft colours. Some of the spacious and air-conditioned rooms enjoy garden or lagoon views. Guests can take a delightful stroll in one of the four differently designed gardens or get pampered in the first-class spa area. The fantastic restaurant serves culinary delights in a secluded, peaceful garden atmosphere. A true luxury gem in the world's most romantic city. This hotel is placed in the historic centre, in a very pleasant location. Facing Rio del Gaffaro in only 5 minutes by foot from piazza Roma, the bus, car and ferryboat terminal that takes to the airports of Venice and Treviso. It is also at only 10 min away from the Santa Lucia train and boat stations. The boat stations along the Canal Grande and the Canale Della Giudecca reach all the most beautiful and famous places of Venice. 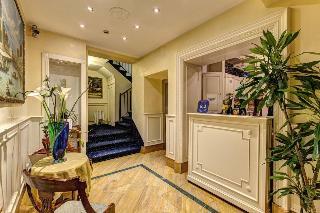 In this hotel, elegance and glamour of the 15th century are mingled with modern services and comforts. The rooms have all the comforts: adjustable air conditioning and heating system, minibar and television. Also rooms have private bathrooms with tub or shower stall, bidet and hairdryer. 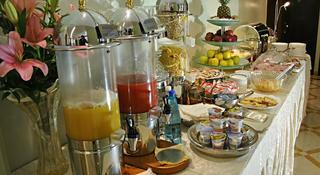 A breakfast buffet is provided daily. This unique design hotel will impress its guest's right from the first moment they see it. The solid brick structure was initially build in the 16th century and has preserved the spirit of the time. The whole building is supported by floors made from wooden beams and offers 3 storeys and a luxurious loft with two 18th century gables. A stay in this historical hotel offers guests the perfect opportunity to experience the lagoon city. They will find restaurants, shops and links to the public transport network in the immediate vicinity. Most importantly all the major landmarks St. Mark's Square, Scuola Grande di San Rocco, Santa Maria Gloriosa dei Frari and the romantic canals are all within a short stroll from the venue. And at the end of the day the comfortable king-sized beds in the air-conditioned rooms will be waiting for them. The hotel is on a side street of Barbaria Delle Tole, near to Campo SS Giovanni e Paolo. Various restaurants, bars and shopping venues are about a 5-minute walk from the hotel. The public water transport stops at the railway station Venezia Santa Lucia. Treviso S. Angelo Airport is just 40 km away from the hotel. This establishment is an elegant 6-room guesthouse. In addition to a lobby area with a hotel safe, facilities available to guests include WLAN Internet access. The rooms feature oak-beamed ceilings. The bathrooms with a bathtub or shower and hairdryer are embellished with refined marble. The air-conditioned rooms are equipped with a minibar, LCD TV and radio. Double bed and a safety deposit box are further standard features of accommodation units. 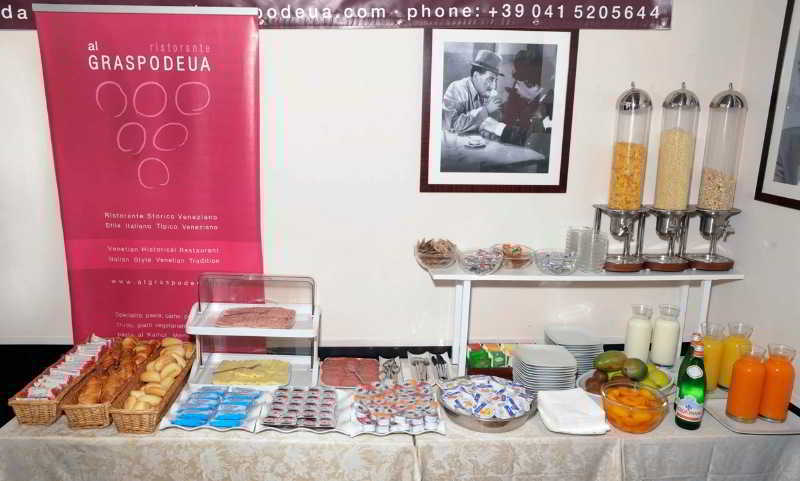 A continental breakfast is served each morning at the hotel. 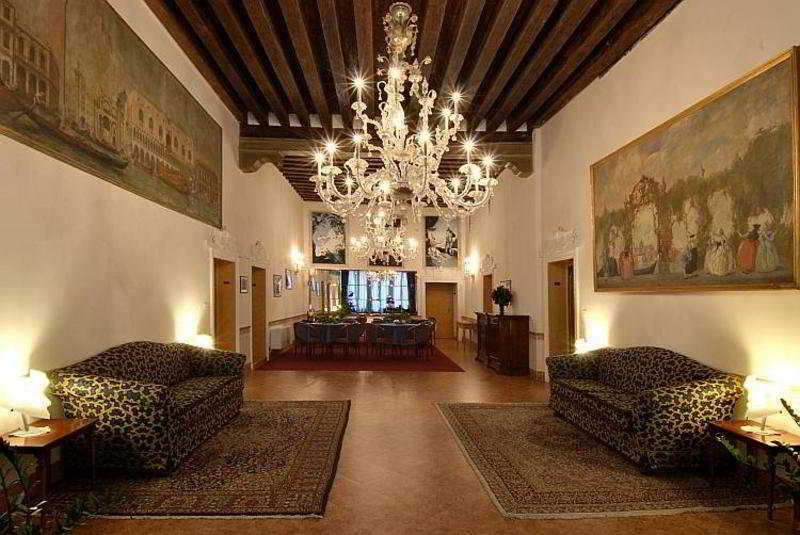 This hotel is set amidst the peaceful district of Castello, in the tourist centre of Venice. The hotel is located just a 15 minutes' walking distance away from St. Marco's Square. The hotel is located just a few steps away from many shopping, dining and entertainment opportunities. Links to the public transport network can be found nearby. Marco Polo Airport is just 8 km away from this charming hotel. This wonderful hotel enjoys a style rich in rustic elegance, blending effortlessly with its spectacular surroundings. The guest rooms are beautifully designed, featuring refreshing tones for a peaceful ambiance. The hotel's extensive range of first-class facilities and services is sure to impress even the most discerning travellers. The hotel features a conference centre, for the convenience of those travelling for work purposes. 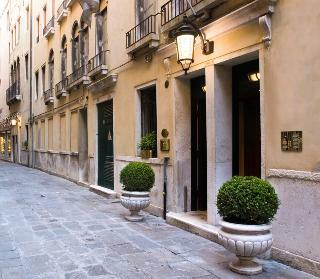 This hotel is located behind St. Mark's Square, the perfect location in one of Venice's most charming areas. Shops, restaurants and links to the public transport network can be found right on the hotel's doorstep and the beach is approximately 5 km away. Built in 1890, this air-conditioned hotel overlooks the Napoleonic Wing of Piazza San Marco. Facilities include a lobby with 24-hour reception and check-out services, lift access and a laundry service (fees apply). 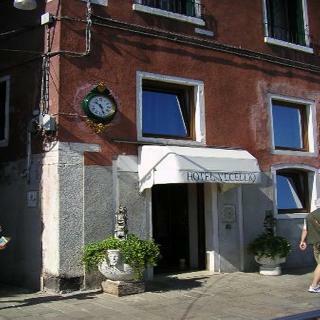 This charming hotel is superbly located overlooking the islands of St. Michele, Murano, Burano and Torcello. Famous sights of interest such as the Rialto Bridge are only a few minutes away on foot. Restaurants, bars and shops are just a short walk away. Links to the public transport network are located directly in front of the hotel. Venice's airport is around 12 km from the hotel. The warm atmosphere and the hospitable nature of the owners ensure that the hotel is a particularly popular holiday destination. This modern hotel comprises spacious and delightfully appointed rooms. All rooms come complete with modern amenities and also feature a balcony or terrace as standard. The charming on-site restaurant is sure to impress guests with mouth-watering dishes and unique atmosphere. Afterwards they may also enjoy a refreshing drink from the bar. Parking is to be found outside the hotel. This charming, family friendly hotel is housed in a former palazzo dating back to the 16th century. Exquisitely remodeled, the hotel forms a prestigious and elegant backdrop for a holiday or business trip to Venice. The hotel is set right next to the Piazza San Marco, allowing easy access to the city's most famous sights, such as the clock tower, Saint Mark's Basilica, Grand Canal and La Fenice Theatre.The sumptuous suites are decorated in Venetian style with Murano glass light fixtures, superior rugs, premium bedding, and canal views on request. Each suite comes with satellite television, air-conditioning, and a handy microwave oven, perfect for families and small groups travelling together. For added convenience, the hotel also provides a babysitting service, laundry service, and car rental service, and guests can dine at the classy restaurant and bar, all on a delightful holiday or business trip to Venice. 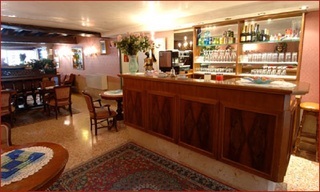 This 3 star hotel is located in the city centre of Venice and was established in 2003. 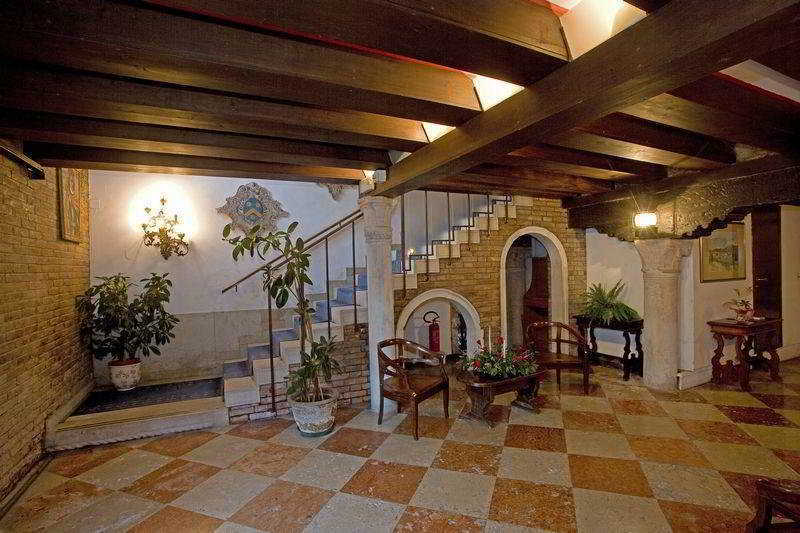 It is a short drive away from the San Marco and the nearest station is Venezia Santa Lucia. The hotel is located in one of the most lively, interesting areas of ancient Venice, right to the Grand Canal and opposite the Goldoni theatre. It is just 200 m away from the famous St. Mark's Square and conveniently situated close to the shopping boutiques of Venice. The railway station is 2 km away and it is about 4 km to Venice lagoon. The elegant property was built in 1880 and was renovated in 2006. This air-conditioned city hotel comprises a total of 5 floors with 35 rooms. Amongst the facilities count a foyer with a 24-hour reception desk, a safe and a currency exchange facility. Further amenities include a café, a bar and a restaurant. Room and laundry services are also available. The guest rooms are fitted with luxurious furnishing and fully-equipped as standard including an LCD TV, wireless Internet access and a minibar.